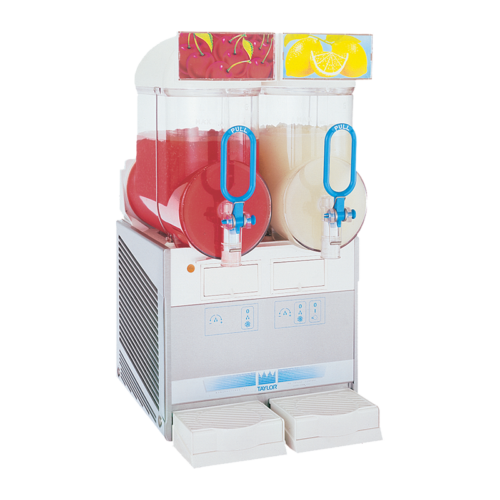 MagnaBlend® Pro Frozen Blended Beverage Station. 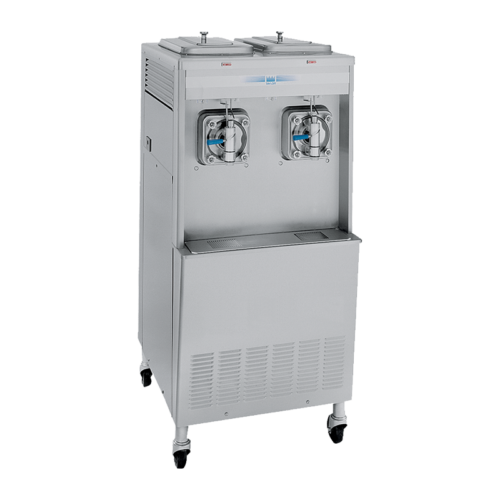 The ultimate next-generation blending system for QSR/drive-thru operations. Graphical icon interface is easy to navigate and allows the operator to simply select the recipe, serving size and the blended drink is prepared hands – free. 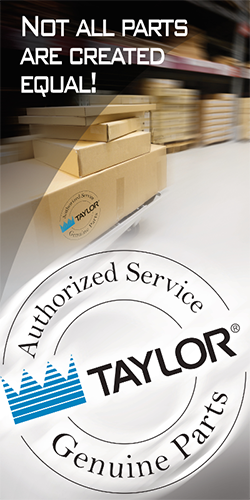 The control panel offers training modules and offers daily and weekly notifications. Refrigerated mix storage cabinet holds eight BPA-free refillable bins, (1) gallon capacity each. 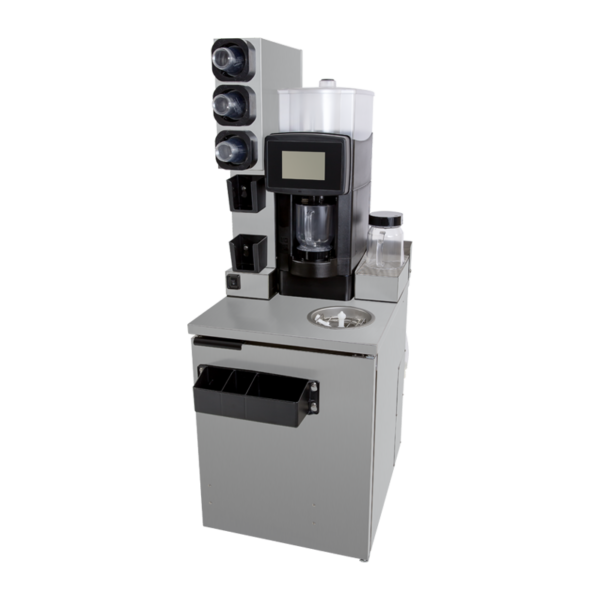 Product bins load easily into the machine and provide consistent product flow to the pitcher. The ice bin holds approximately 28 lbs (12.7 kgs) of ice. 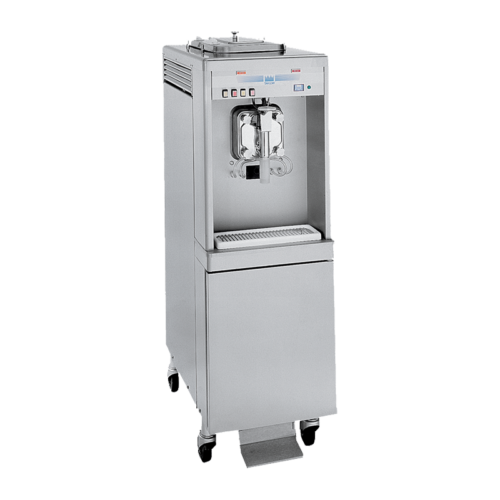 For added safety, the machine cannot run unless the lid is replaced. BPA-free. Blends up to 2 – 16 oz. (473 ml) drinks at once. 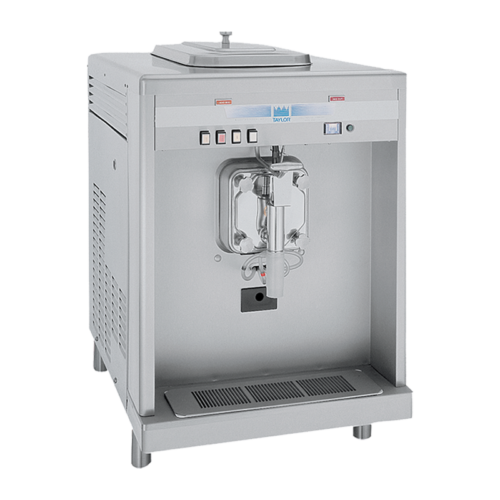 The MagnaBlend comes with two blending pitchers to maximizes throughput. 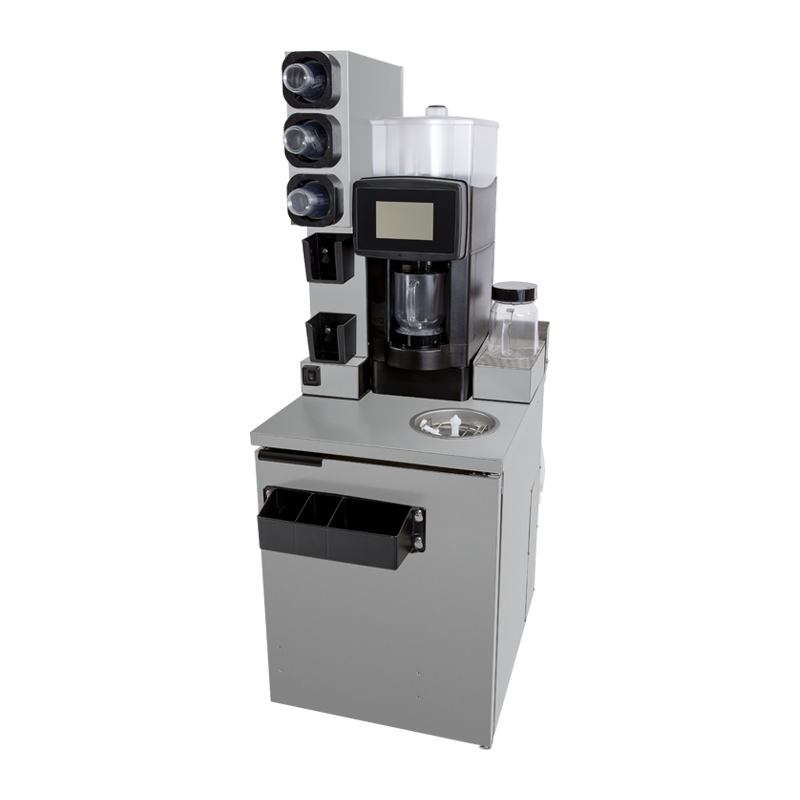 The blending mechanism allows for a consistent finished drink each and every time providing consistent customer satisfaction and food costs through dispensing accuracy and reduction in over pouring. An SD card port lets you share custom blends, LTOs and regional favorites across your entire franchise network. One dedicated electrical connection is required. See the electrical chart for the proper electrical requirements. Manufactured to be cord connected. Cord length is 9 ft. (2.74 m) external to unit on 115/60/1. Top air discharge chute at the rear directs air exhaust upwards. No clearance required. 3/8″ Hot or cold water supply line for rinse station. Minimum 55 PSI required with a maximum of 100 PSI. Temperature Max 125°F (52°C) Hot water recommended when allergenic products used. For best results, filtered water required. Quick disconnect (QD) fittings are included. CO2 90 PSI required. 3/8″ line. Quick disconnect (QD) fittings are included. A drain is required. The drain must be able to accommodate a 1-1/8″ (29 mm) diameter drain tube. A minimum of 1″ (25 mm) air gap is required between the end of the drain tube and the drain to ensure proper flow. 8 ft. (2.44 m) of 1” ID drain hose included.